Question: Reviews on this site indicate full hookups are available. When I go to the National Park Service site, it says there are no hookups. Which is correct? Answer: The actual park service run campground has no hookups at each site, but right next to it is a small campground (basically a parking lot) that is in the National Park, but is run by an outside service (along with the small grocery store and laundromat), and they do have full hookups. Third time here, overnighting. A gem of a small park, clean spacious sites all with covered pavilions, restrooms are nearly spotless. Photos of site 12. We camped at Oasis State Park in a Travel Trailer. They have reservasites, as well as drive-up sites. Granted, we made the reservation at about 4:30 on a Friday nite and got one of 3 remaining back-in sites at the rear of the park near the dog run. That's fine, didn't have to unhook for the over-nighter. But I just don't understand sloppy site maintenance, long grass, trash, cig butts, burnt food in the grill, overgrown and invasive trees. Only $32, but what does it take to clean it up a bit? We camped at Lubbock KOA in a Travel Trailer. This is a huge park with hundreds of sites on both sides of the reservoir. 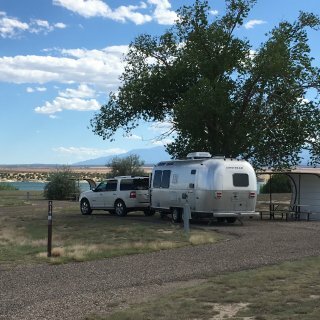 Absolute best internet connectivity I've had in a state park We camped at Lake Pueblo State Park, Northern Plains Campground in a Travel Trailer. Lots of loops. Staff will let you drive through and select an open site before registering. We would certainly return. For $100 per night I expect paved interior roads, a level site, more than thin gravel to park on, and more than 15' to the adjoining rig, and internet that works. Not even on Sunday morning after guests had left could we connect. The ONLY saving grace is the very nice staff. Be aware there are only 23 RV sites, and most of those wouldn't handle a class A. They focus on cabins and tent campers. Stay elsewhere would be my suggestion. We camped at Jackson Hole / Snake River KOA in a Travel Trailer. About 6 miles from town, too far for us to unhook for just one night. We camped at Countryside RV Park, LLC in a Travel Trailer. Spacious, trees, clean. One of the nicest on this 6 week outing. We camped at North American RV Park & Yurt Village in a Travel Trailer. Staff very nice, office bldg has movies to rent, nice game room. Really nice park. Me thinks most of Bar Nunn lives here. That aside, this is an ancient KOA in need of updating. Sites on top of each other, office and store in what to me is a dilapidating building. I think we paid around $40, I rarely keep receipts. Just not any other options close by. 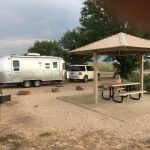 We camped at Casper KOA in a Travel Trailer. Well maintained, engaging owners, probably the BEST WiFi we have ever experienced (not sure if it was because we were close to the office). We camped at Big Pine Campground in a Travel Trailer. Other than being directed to the wrong area for the type of site desired, it was ok. Quiet setting. No reservations taken, and I got the last spot available at 4:30 on a Sunday. Arrive early or call to see if sites are available as they don't take reservations. You find and occupy a site and then go to the office to pay. We camped at West Lake Park, Summit Campground in a Travel Trailer. Up front, my only complaint is the entrance road....very bumpy and needs help. Beyond that, what I have read from previous reviewers wasn't my experience. 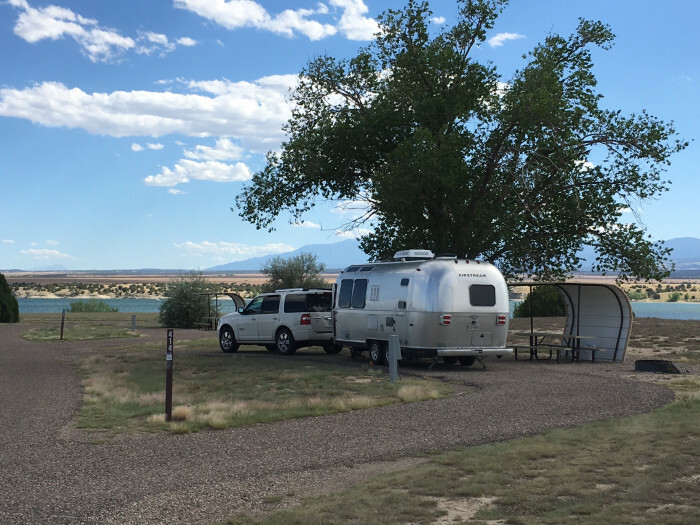 Stayed for 4 nights, and brought along 13 other rigs for an Airstream Rally. Our rate was discounted for the size of the group. The park is about two miles from town and sits well back from Hwy 16, so little to no noise. The entrance road is no longer one-way, pool clean (too chilly this stay), sites generally level, staff available and responsive to our needs. The park is maybe 3 years old, and yes, they continue to work on it. But, our group seemed to like the park, and the Main Lodge. Lots of families judging by the number of kids on a hay ride on Saturday evening. Based on our experience, I would recommend it. We camped at Antler Oaks Lodge and RV Resort in a Travel Trailer. Wednesday night steak night at 11th Street Bar (take your own steak and grill it). Singing Water Vineyard in Comfort, Garrison Brothers Bourbon Distillery in Hye. shopping in Freedericksburg....lots to do in the Hill Country. Under construction but didn't hear anything. Gravel drive and site, level, full service with cable. Adjacent to I-10 so a little road noise but it didn't keep us awake. 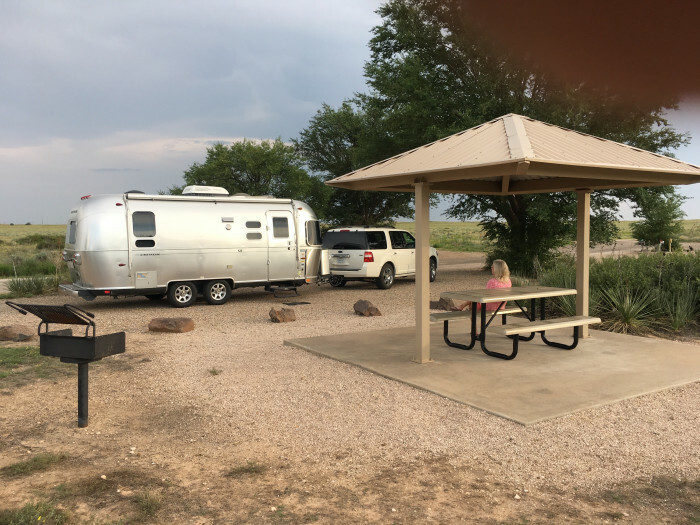 We camped at Willcox / Cochise, AZ KOA in a Travel Trailer. We come in from Bandera several times a year during special events such as Fiesta and JazzSAlive and stay here, rather than drive back and forth. IMHO, this is one of the nicest parks qualifying as a city park. Very close to downtown by city bus (across the street), on the Mission Reach of the SA River for walking or biking. We continually come back because it's a great value; clean, well kept, great staff. We camped at Travelers World RV Resort in a Travel Trailer. Cable didn't work, rough interior roads, nice staff. Only here 15 hours, over-night. We camped at Birmingham South Campground in a Travel Trailer. I can provide is my experience over a 15-hour period. Was actually here on 12/27, but it keeps coming up as November. Appears to be crushed granite drives at most sites, covered concrete pavilions each site with grills, impeccable rest rooms. Hidden, small gem.....only 35(?) sites. We camped at Oasis State Park in a Travel Trailer.